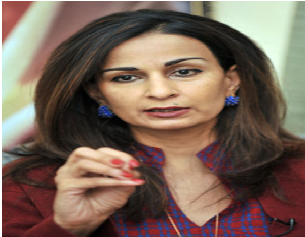 Shehrbano "Sherry" Rehman (or Shahrbano Rahman is a Pakistani politician, political journalist and diplomat. Rehman was earlier Pakistan's Ambassador to the United States. She was also the Federal Minister for Information and Broadcasting for a year from March 2008. What Should Pakistan Expect From Trump? Why Is Pakistan Still the World’s Favourite Whipping Boy?